Radiography is a fast-moving and continually changing profession. It combines science, technology and patient care and is at the heart of modern healthcare. As a Radiographer, you will use a range of different imaging techniques and technology to produce high quality images, which play a vital role in patient diagnosis and treatment. You will be at the forefront of emerging and developing technology, such as digital imaging, magnetic resonance imaging, computed tomography and ultrasound. Radiographers work as part of a multidisciplinary team and there are opportunities to specialise in many areas, including ultrasound, CT scanning, image reporting, teaching and management. Diagnostic Radiography at the School of Medicine offers comprehensive training in technical knowledge and professional skills, with first-class placement opportunities. We have an excellent employability record. Each year 100% of our graduates go into work or further study. On successful completion of this course, you will be eligible to apply for registration with the Health and Care Professions Council (HCPC). 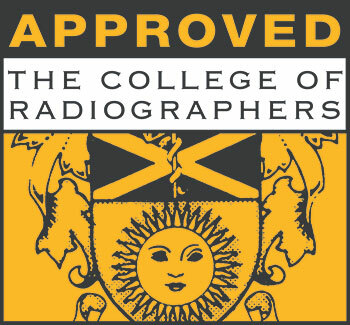 The course is also accredited by The Society of Radiographers (SCoR). To achieve the award and register as a Diagnostic Radiographer, students must pass all modules at all levels. Year 1 provides an introduction to Radiographic Imaging. The key focus of this year is plain film radiography of the musculoskeletal system, thorax and abdomen. You’ll also develop essential skills such as communication, patient care, radiographic technique and teamwork. In year 2 you’ll further develop your knowledge and skills from year 1 to explore the range of specialist imaging methods available. Such methods include computed tomography, magnetic resonance imaging, ultrasound and isotope imaging. You’ll learn about how these methods are used to image a range of body systems, including the respiratory system, the gastrointestinal tract, the cardiovascular system and the urinary system. Year 3 covers the more challenging and specialist aspects of radiography, where the radiographer has to evaluate and adapt imaging investigations to meet the patient’s needs. You’ll develop a level of independence and professional responsibility in preparation for graduation and state registration. Optional modules provide an opportunity to focus on a specific area of interest, such as paediatrics, ultrasound and trauma radiography or for a brief period of study abroad. The taught programme is closely integrated with the clinical experience you’ll gain. You’ll spend approximately 40% of the course in clinical placements in the Yorkshire and Humber region. These clinical placements allow you to develop the necessary clinical skills to be a capable practitioner in the modern health service. You’ll undertake placements in radiography practice areas throughout the programme. Elective placements at the end of the programme provide opportunities for you to arrange work placements of your choice, both in the UK and abroad. We use a variety of teaching and learning methods across all three years of the programme to accommodate different learning styles. These include formal lectures, tutorials, student-led seminars, group work, online learning, clinical skills practice and independent learning. Tutorials and student-led seminars support formal lectures, identifying areas of clarification, as well as providing support for assessment preparation. Group work plays an important part in all the modules, allowing students to work as a team to address specific tasks, which allow tutors to monitor progress and group dynamics, as well as enhancing student communication, confidence and self-esteem. Feedback will be presented to the group and students can seek feedback on an individual basis. Additional resources, such as radiographic technique demonstration videos and e-books have been developed to help support student learning. Apps such as “Socrative” have been also been introduced to enhance student learning by making sessions more interactive and designing quizzes to help students gauge their ongoing learning needs. You’ll also benefit from our clinical skills room - a general x-ray room that is rented from a local hospital trust and used instead of a simulated suite. This provides an opportunity for small groups of students to work with patients in a controlled learning environment with ongoing support, advice and tuition from clinical tutors. We use a variety of summative assessment methods to reflect the range of learning outcomes in the programme and suite of modules. They enable you to demonstrate your capabilities and achievements and take into account your individual assessment strengths. Academic assessments include unseen written exams, written assignments, poster presentations, oral presentations, online multiple choice question exams, and practical workbooks. You’ll need to demonstrate the knowledge and application of standard concepts, information and techniques relevant to the discipline, as well as your emerging abilities, skills and competencies. You’ll need to produce work that is typically both evaluative and creative and show you can conduct independent, in-depth enquiry within the discipline. You need to be able to draw on a wide variety of material and be able to evaluate and criticise received opinion. We consider all A-level subjects for the remaining grades, except general studies or critical thinking. GCSE: 5 A*-C, including maths, English and science - or new grading 4-9. You will need to show evidence of study in the last 5 years. 45 credits at level 3, which must be at distinction and include a minimum of 15 credits from science subjects + GCSEs, as above. We strongly advise you to contact the School to discuss the suitability of your chosen Access course. We consider Access Courses to be suitable for mature applicants (21 plus) who have been out of full-time education and have had no previous access to higher education. BTEC Level 3 Extended Diploma (QCF): distinction/distinction/distinction and must contain at least one-third science content at distinction. Must be the Senior Leaving Certificate (taken at 18). Require a minimum of 6 subjects taken at Higher level (not ordinary IO) and must include English language and maths to meet University matriculation plus 2 sciences from biology, physics or chemistry, grades required are minimum AABBBB. The School of Medicine does not normally participate in the UCAS Extra scheme for entry onto the Radiography BSc degree course. You must tell us in your UCAS application if you want to defer entry and if you have any prior criminal convictions. We shortlist applicants against agreed criteria, using the information you submit on your UCAS form only. You must meet the academic entry requirement for the programme, at application or within the academic cycle. Your academic background and personal statement help us to assess your interest in the academic subject and are an important part of the process. The reference you provide on the UCAS form must also support your application. Shortlisted applicants are normally invited for interview at the School of Medicine. This allows us to further assess your aptitude for and interest in the course. It’s also an opportunity for you to visit the facilities, find out more about the course and meet staff and students. If shortlisted, you'll receive a written invitation from the School to attend a selection event on a specific time and date. If this date is unsuitable, contact the School and where possible we'll offer an alternative date. If you don't notify us and don't attend a selection event, your application will be rejected. The course is currently not open to international students. Diagnostic radiography is a fast-moving and continually changing profession. 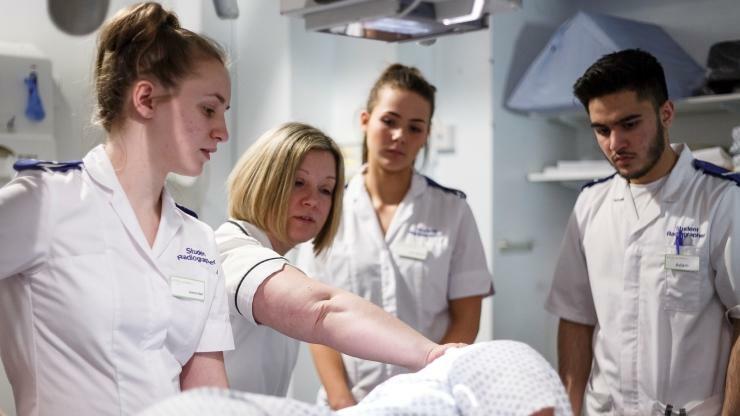 The career structure provides opportunities for radiographers to specialise into many areas, including ultrasound, CT scanning, image reporting, barium studies, teaching and management. Long term career prospects consist of research, management, teaching and postgraduate specialist practice. Students have the opportunity to work abroad for 3 weeks as either part of the international work based learning (optional) module or the 3 week elective period. 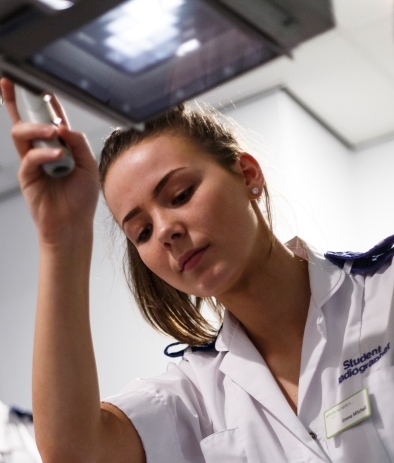 You’ll undertake placements in radiography practice areas throughout the course. Elective placements at the end of the course provide opportunities for you to arrange work placements of your choice, both in the UK and abroad. We have excellent established relationships with all departments within the Yorkshire and Humber region that can provide outstanding clinical placements. Our links are with four trusts: Leeds Teaching Hospitals Trust, Hull and East Yorkshire NHS Trust, York Teaching Hospitals NHS Foundation Trust (incorporating Scarborough Hospital) and Harrogate District Foundation Trust. The University's close links with these trusts is strengthened by clinically active staff. These include practice educators, clinical tutors and liaison radiographers, who ensure clinical teaching remains current and evidence based. They also make sure all our students have ongoing support whilst on placement and access to good quality clinical training and experience. All placements provide the required skills learning and excellent support environments, where you’ll gain invaluable experience throughout the course. Clinical placements are audited annually to ensure they continue to provide essential insight and experience in a diverse range of imaging departments. There are opportunities for international work placements in the 3rd year through optional modules and elective weeks at the end of the programme. We have developed links with international universities in Denmark, Sweden and Malta, which provide opportunities for short work placements. These placements give students the opportunity to gain an insight into radiography in another country and a greater understanding of the profession.